It sets out the steps taken by Sightsavers to prevent modern slavery and human trafficking throughout its business during the financial year ending December 31, 2018. Sightsavers is committed to improving practices to combat modern slavery and human trafficking. We have a zero-tolerance approach to modern slavery within our operations, and strive to act ethically and with integrity to ensure modern slavery is not taking place in any part of our organisation. Sightsavers is the working name of the Royal Commonwealth Society for the Blind, an international organisation that supports the development of health systems in low and middle-income countries, and aims to advance the rights and improve the quality of life of people with disabilities. Our programmes include health, education and social inclusion projects in more than 30 countries, working with governments, non-governmental organisations and the private sector. We have a governing Council of non-executive trustees, who are committed to maintaining a high standard of corporate governance. They oversee the CEO and senior management team, who manage more than 600 staff across the organisation, both in the UK and overseas. Not to directly support any organisation, initiative or activity that causes, promotes or contributes to modern slavery or human trafficking. Not to engage, contract or work with any entity or organisation that causes, promotes or contributes to modern slavery or human trafficking. To ensure any victims have access to remediation and justice. To maintain risk-assessed and transparent supply chains. To publish and maintain Sightsavers’ statement on compliance with the requirements of MSA 2015. To remain aligned and co-operate with activities of the UK Anti-Slavery Commissioner. Our Global Anti-Slavery Policy underwent a review and was updated to underscore the rights of workers and provide access to redress for any victims. We have developed measurements in the form of Key Performance Indicators (KPIs), which allow us to report on our performance against areas of this policy. We also require all staff, representatives and partner organisations to comply with Sightsavers’ Child Safeguarding Policy, which ensures that Sightsavers’ activities are implemented in a safe and protective environment where abuse, exploitation and violence against children are prevented, as far as reasonably possible. As part of our Fundraising Policy, we follow the UK Institute of Fundraising codes of practice with regards to dealing with vulnerable people, and follow similar approaches in other countries. We are developing an Adults at Risk Safeguarding Framework scheduled for delivery in the coming year. This will support the policy aims of the Fundraising and Global Anti-Slavery policies. Our internal HR policies address human trafficking and modern slavery to ensure that they is not taking place in our business. If any employee believes malpractice, unethical conduct or illegal practices are taking place, our Global Whistleblowing Policy provides a confidential internal mechanism for reporting, investigating and remedying any wrongdoing. Likewise, the Global Grievance Policy enables employees to raise concerns, problems or complaints relating to the terms of their employment, health and safety, work environment or working practices. Our Global Leave Policy encourages all staff to take the annual leave to which they are entitled. If any staff are required to work more than their contractual hours, the Global Time Off In Lieu and Overtime Policy entitles them to take an equal amount of time off in lieu. Sightsavers believes that change can only come from working closely with our partners. 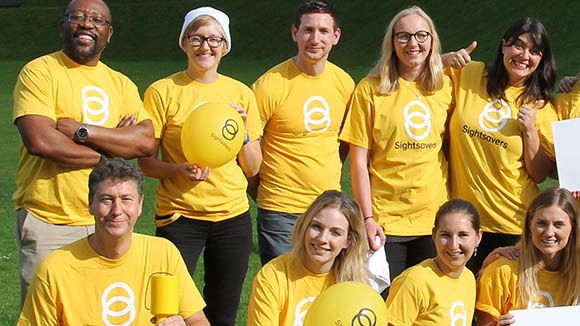 We have continued to build on from the work done in the 2017/2018 financial year, identifying opportunities to further support Sightsavers and its partners in the fight against modern slavery and human trafficking. Our Programme Partnership Policy requires Sightsavers and its partners to remain fair and ethical in all business matters, and states that Sightsavers will not enter into partnership with any organisation that exposes people to abuse and exploitation, or is involved in any illegal activity. Before entering into any partnership, Sightsavers carries out a due diligence assessment to build a complete picture of each potential partner. If any risks or weaknesses are revealed, they are analysed and an action plan is drawn up to address them, which could include offering additional support to the partner, putting in place closer monitoring processes, or establishing more rigorous controls. If the risks or weaknesses are too severe, we will not work with the organisation. This due diligence assessment is being reviewed to ensure that we only choose to work with those who meet our standards. Sightsavers recently signed its support for the United Nations Global Compact and The Ten Principles. These principles include the protection of human rights, freedom of association and elimination of all forms of forced, compulsory and child labour. As an active supporter, Sightsavers is committed to implementing all Ten Principles and measuring the outcomes through the use of KPIs. 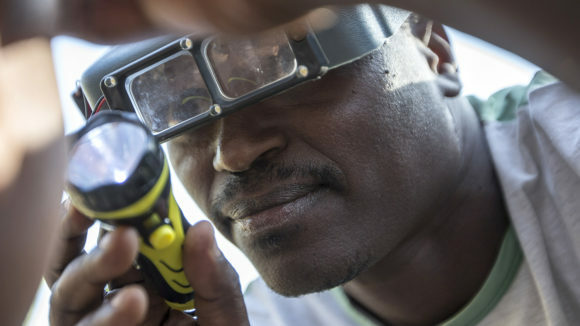 Sightsavers is a member of the International Agency for the Prevention of Blindness (IAPB) and has adopted the IAPB Code of Conduct for IAPB Suppliers and Manufacturers. The Code ensures that goods and services are produced and delivered under conditions where there is no abuse or exploitation of any people, including children. It ensures that pay complies with local law, that working conditions are safe and hygienic, and that working hours are not excessive. It also prohibits discrimination and harsh or inhumane treatment of staff. These requirements are stated in Sightsavers’ Supplier Code of Conduct. All suppliers are required to sign the code, and we assume that by signing, our suppliers agree to adhere to the conditions of the code and will reasonably enforce the same with their contractors. We may remove suppliers from our approved supplier list where companies in the supply chain are found to be involved in violation of basic human rights and there is no willingness to address the situation within a reasonable timeframe if requested to do so. All policies are promoted and enforced across our business. We have developed and implemented a training package to ensure staff are familiar with these policies and understand how their implementation is essential to combat modern slavery and human trafficking. This statement is made pursuant to section 54 (1) of the Modern Slavery Act 2015 and constitutes Sightsavers’ slavery and human trafficking statement for the current financial year.